Refreshing the browser window and again trying to use the add-in with show the command button label again (but just the first time the add-in is used). On first use of the add-in in a session (or after refreshing the browser window) the add-in title uses the label of the command button. In the case below the button label of “Display all properties” is shown. 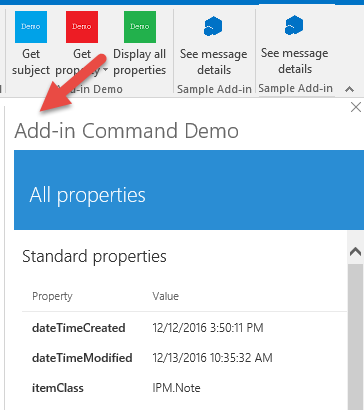 If you close the add-in and then click on the same command button subsequent times then the correct add-in title of “Add-in Command Demo” is displayed. 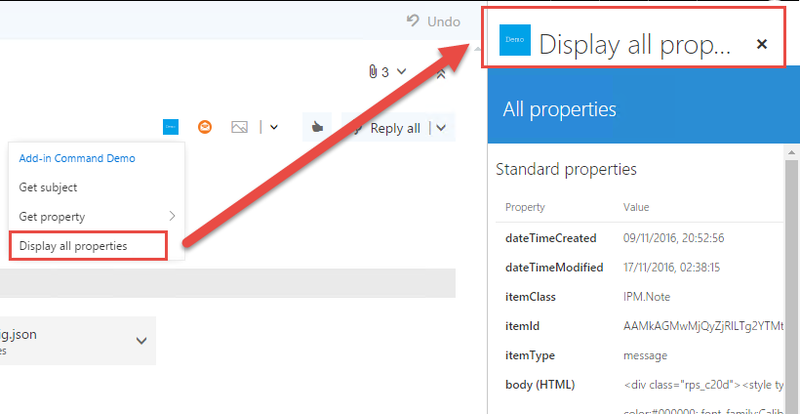 This bug only seems to affect OWA, Desktop Outlook 2016 consistently displays the correct add-in title as shown below. 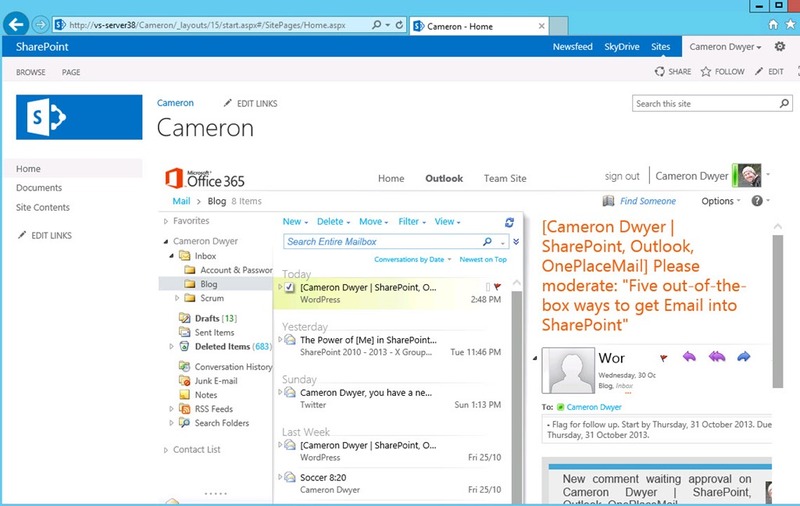 It would also be nice if the header we displayed in Desktop Outlook was consistent with OWA. 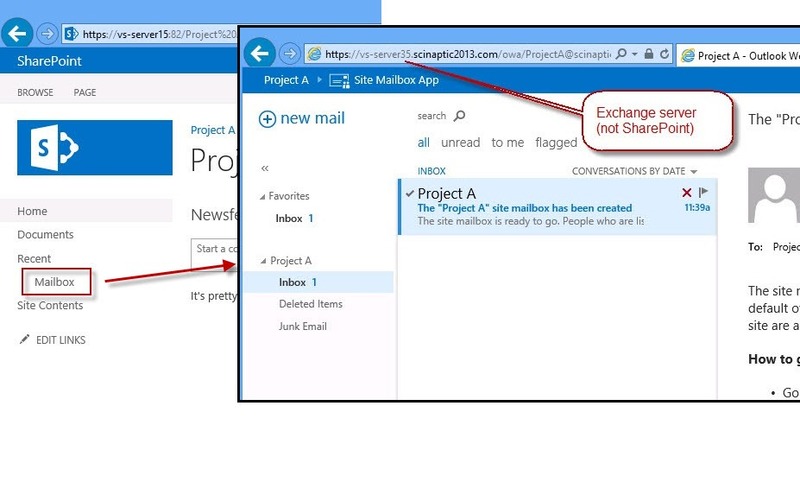 As you can see from the screenshots above OWA shows the add-in icon in the header whereas Desktop Outlook just has the title without an icon. I’ve logged this bug on UserVoice, if it’s causing pain for you please vote it up!